Holiday Bottle Neckers are a great way to turn any bottle of wine or spirits into a unique and exciting gift. Its a great opportunity for businesses to present a special gift to their favorite clients. Available just in time for the holidays! 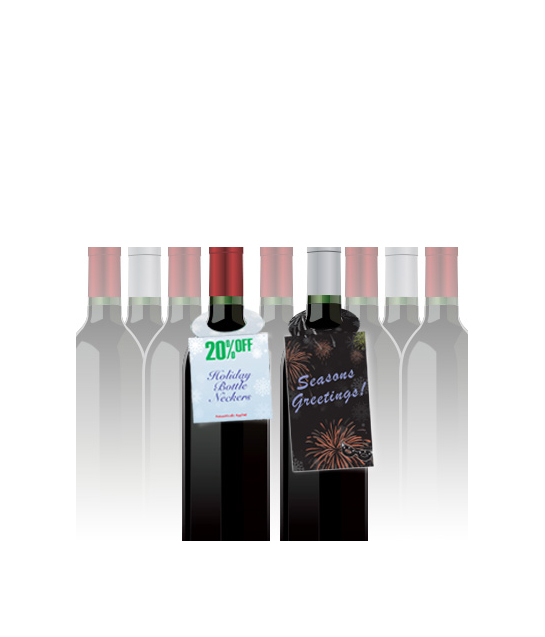 Make this season the brightest yet with Bottle Neckers from Folderprinters.com. Please call our helpful staff if you have any questions (866)936-5337.